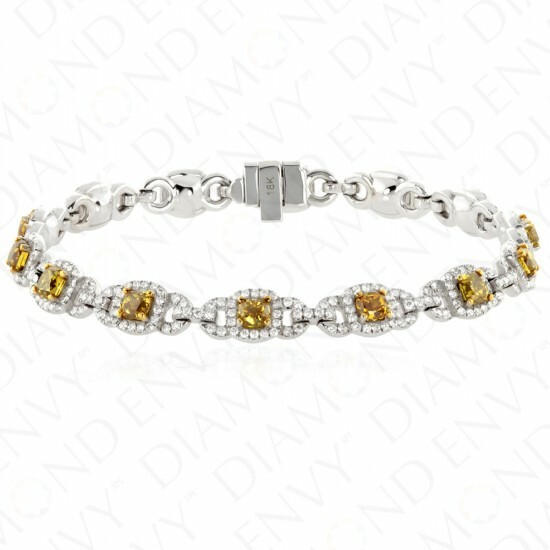 Feminine charm and classic style meet in this 18K white gold bracelet dotted with 14 Fancy Deep Yellow to Fancy Deep Brownish Yellow SI1-SI2 cushion cut diamonds, 4.05 ct. 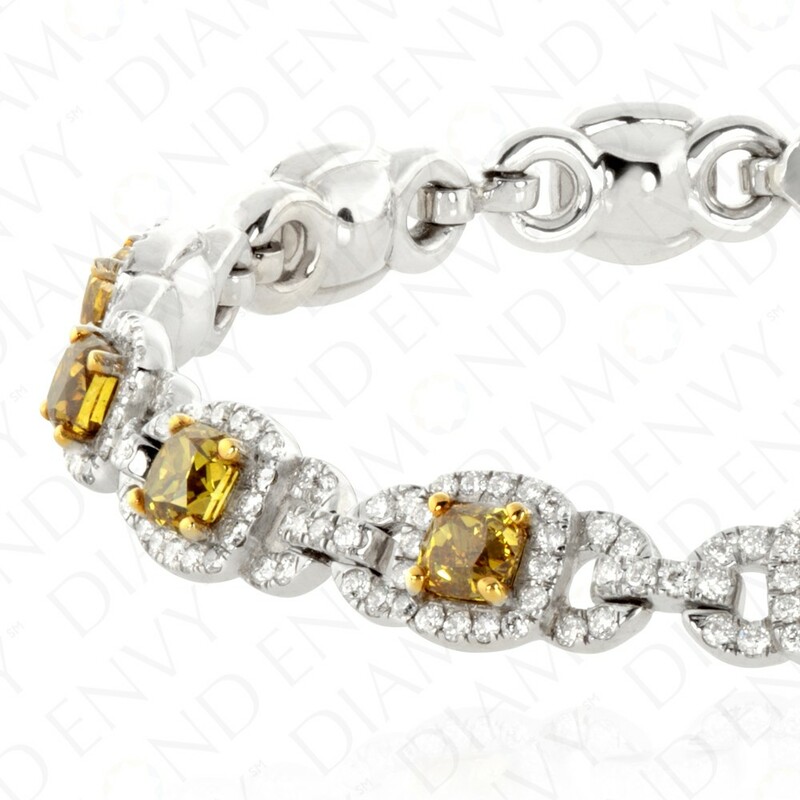 tw., individually framed by halos of F-G VS2-SI1 melee round diamonds. Horseshoes flanking both sides of the fancy colored diamonds are also accented with the same melee and small melee diamond connectors bridge each link. 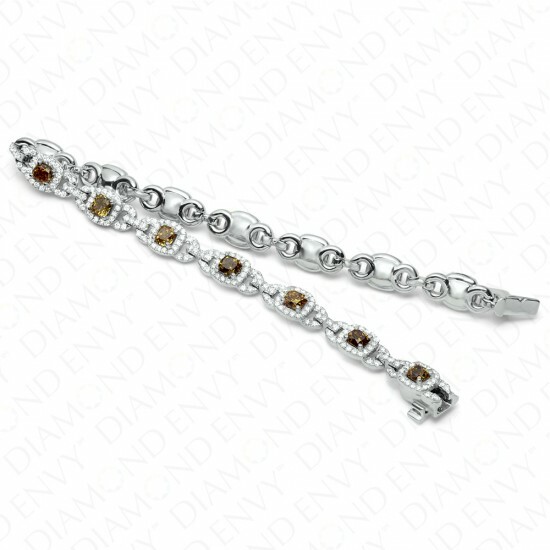 Melee diamonds total 392 pieces, 3.25 ct. tw. Gold weight: 17.00 grams. Approx. 7” L. House-graded.